I continue to be amazed at how much Jesus Christ wants us to have a relationship with Him. He doesn’t just want us to know about Him, He wants us to know Him, to develop a personal relationship with Him. And so when creating this painting, I wanted the focus of this painting to be on His hand, on the invitation extended. 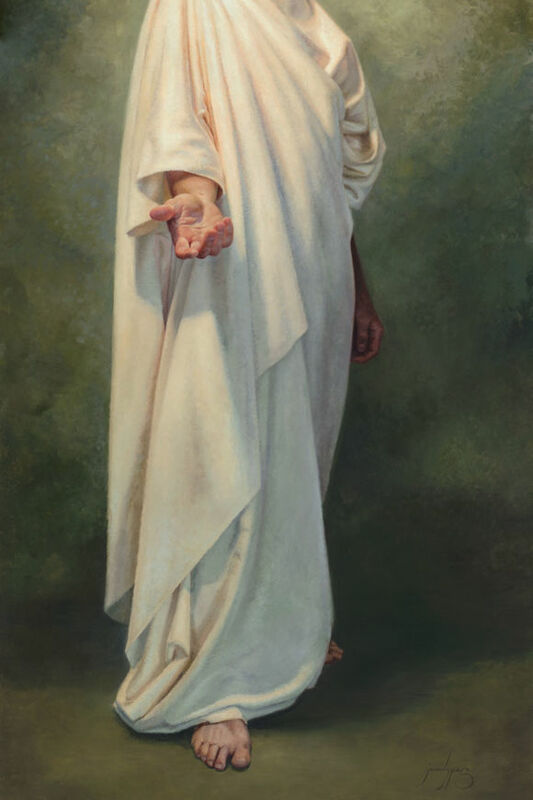 A reminder that “His hand is stretched out still” (Isaiah 9:12). He’s there waiting, we just have to reach out and take it.